It starts with an idea . . . an inspiration . . . a dream. You want to write a book, but. . .
Our ghostwriting services are designed to help you achieve your publishing goals. From the initial planning stages to the moment you crack open the first page of your book, we will be your very own dedicated ghostwriter, editor, professional consultant, and industry expert. This is what we do, and we’re good at it. Our impressive client list is a testament to our expertise and dedication to our authors, and we want to provide you with the same excellent service. Our ghostwriting services include everything you need to transform your concepts and ideas into a well-written, published book. Let us put your words to the page and guide you through the entire writing and publishing process. Your dream of becoming a published author is about to come true. Choose Kevin Anderson & Associates because you deserve the very best ghostwriting service in the industry. Our firm gives you the rare opportunity to work with a team of New York Times bestselling authors, editors, and publishing insiders who will guide you through every step of the ghostwriting process to ensure that your book is well written, meticulously edited, and published. Our in-house staff includes industry insiders with former positions at Kirkus Reviews and Big-Five publishing houses, including Random House, HarperCollins, Wiley, and Simon and Schuster. From the moment you contact us, you will enjoy the highest level of professionalism, customer service, and dedication to excellence. We take great pride in the quality of our work and value enduring professional relationships. Every client and manuscript is unique, which is why we prioritize getting to know you and your book to determine how best to achieve your publishing goals. When you hire our firm, you are hiring a team of professionals who will work collaboratively with you through every aspect of the ghostwriting and publishing process. We make ourselves readily available because we enjoy helping clients through every step of the process—call us at any time! Our extensive client list includes New York Times bestselling authors, literary agencies, business executives, publishing houses, scholarly journals, public figures, and a wide variety of first-time authors. We are a well-respected firm in the publishing industry and many of our clients have earned lucrative deals from major publishers, including HarperCollins, Random House, and many more. Whether through a traditional book publisher or a POD press, our comprehensive ghostwriting services guarantee that your book will be published and widely available to your readers. While we personalize our book-writing process for each and every client, below is an example of our typical process. 1. Questionnaire: We’ll send you a detailed questionnaire to fill out, informing us of your goals and expectations. This will be shared with and reviewed by the writing team. 3. Preliminary Research and Preparation: We’ll review all available drafts, articles, notes, outlines, and other relevant materials in preparation for the Strategy Sessions. 4. Strategy Sessions—Planning and Outlining: Intensive in-person (preferred) or virtual planning and strategy sessions to plan and outline the book. Typically a multiday process at one of our offices (NYC, LA, or Nashville), or we can fly the team to your location. 6. Developing the Draft: The lead writer will write the manuscript, 5-10 pages at a time, revising each draft until it meets your satisfaction. 7. Ongoing Editing and Consultation*/**: The lead editor and lead consultant will review, edit, and provide detailed analysis and consultation at (a) the completion of the first chapter, (b) the completion of half the manuscript draft, and (c) the completion of the entire manuscript draft. 8. Finalize the Draft: The managing editor will meet with the team to ensure all parties are satisfied with the draft and approve it for final editing. 9. Final Edit: An additional editor who has no knowledge of the project will perform a “cold read,” editing the text for grammar and providing a final round of analysis and consultation. 10. Final Review: The managing editor will meet with you to ensure all expectations have been met. 11. Query Letter and Targeting Agents: We’ll provide you with a custom-written query letter and assist you with targeting agents. We can also develop a full book proposal upon request. 12. Publishing: Our service includes two years of publishing consultation to assist you in securing a publisher or advising you on self-publishing options. We also offer extensive self-publishing and cover design services. We want to hear about your book idea, get to know you, and answer any questions you have about the ghostwriting and publishing process. Discover how our comprehensive ghostwriting services can transform your idea into the published book you have always wanted it to be. What Do I Need to Consider When Choosing a Ghostwriter? Who owns the rights to the book? It’s your book, which means you should own the rights to your content. Be wary of ghostwriters asking for partial rights to your material. Who’s in charge? Working with a ghostwriter is a collaborative effort, but you should have the final say on all content decisions. If a writer is unwilling to put your needs and requests first, then it will not be your book—it will be theirs. A Freelancer or Firm Beware of working with freelancers. While some may be reputable or qualified, most are overbooked and will not make good on the promises they make to you. Also, if anything should go wrong (whether it’s an issue between you and the writer, or a health concern), you will be stuck the awkward and frustrating position reclaiming your expenditures and then finding a replacement writer. With a firm like ours, we replace the lead writer free of charge to ensure the process moves forward efficiently and effectively. Reputation Be sure the writer or firm has worked on books that have been published by major publishing houses. Ideally, the writing service you choose will have a robust staff of bestselling writers, experienced editors, and a wide range of connections to literary agents and publishers. Whatever service you decide to use, be sure to protect yourself. Make certain that you are working with a reputable and experienced company. What Is the Typical Ghostwriting Process? Your complete satisfaction is our priority, which is why our ghostwriting process is designed to ensure that we are always meeting your expectations. 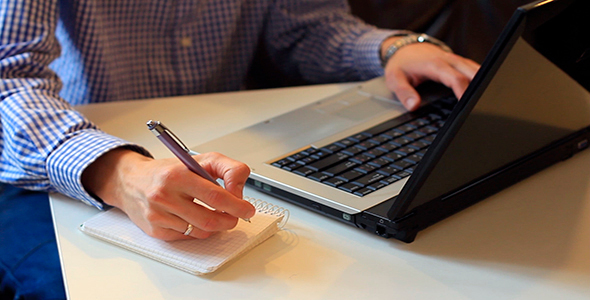 Our ghostwriting process is flexible and customizable to your preferences. We can work with you as consultants and editors as you develop the content on your own, or we can ghostwrite the book for you, based on interviews and other information you provide us. We typically gather information in-person or via e-mail and phone conversations, though the process may also include site visits and independent research as necessary. While we understand that every client is unique and we are happy to adjust our ghostwriting services to suit your preferences, we typically approach the process as a team. Please find an abbreviated description of our team and process. Please contact us for a personalized and detailed proposal for your book. What If I Don’t Need Every Service Included in Your Ghostwriting Package? Feel free to pick and choose which services you want from us. We can often reduce the pricing if you prefer fewer services. We’re happy to customize our services to meet your needs. Do I Have to Give the Ghostwriter Credit? No! That is why it is called ghostwriting—no one will know you had help with the writing process unless you choose to tell them. Our services are 100% confidential. We do not retain any rights or ownership of your book whatsoever. Even if your book earns a million dollars, you will never owe us any credit or extra compensation unless you choose to do so. Be skeptical of other ghostwriting services that may require such promises from you. While credit is appreciated, it is never required. Can I Claim Full Credit as Author Even Though I Didn’t Write the Book? Yes, absolutely. The story we help you to tell will always be your story. You are 100% the author of your book. Are Your Services 100% Confidential? How Long Does the Ghostwriting Process Typically Take? The duration of the ghostwriting process is partly up to you. Depending on your schedule and desired level of involvement, your ghostwriter will develop material for you to review and approve on a weekly or biweekly basis. While every book is unique, on average, a 200-page manuscript will take between six and nine months to develop. We can often rush these services for you if you need to meet a specific publishing date. Absolutely! The most important elements in writing a book are the ideas—and as the author and initiator of your book, the ideas are all yours. Even if you don’t consider yourself a writer or are too busy to develop a publishable book, your voice still deserves to be heard. The ghostwriting process is simply a means to get your wisdom, methods, story, or ideas on to paper. Can I Include My Own Writing? Will this Save Me Money? Yes and yes! We will gladly edit and incorporate any content that you provide. Depending on the strength of the content you’ve written, it may save you a lot of money! Our editing and consultation services are perfectly suited for writers who are looking to improve their work. We can provide whatever level of input you’d like—overarching feedback on the structure and concept of the book, critical review on the flow and transitions, or copyediting changes to the text itself. We can also address specific questions or concerns as per your request. I’m Preparing for a Speech and Presentation—Do You Offer Ghostwriting Services for This? Yes! While we focus primarily on writing books and other lengthier content, we also have experts on staff with extensive experience in writing speeches, presentations, and articles. In addition to writing content, we can develop presentation aids, such as PowerPoint, Keynote, Prezi, and more. The process will be tailored to your needs and usually includes calls with the writer by phone or Skype and ample e-mail communication. Give us a call or send us an e-mail to find out how we can help you. My Book Requires Research—Do Your Ghostwriting Services Include This? Yes, our ghostwriting packages can include research services. Whether your book requires basic Internet searches or rigorous scholarly research, we have writers on staff who can conduct effective research and synthesize it into your book. Am I Allowed to Choose My Ghostwriter? Can I View a Sample of Their Writing? In general, we’re very adept at matching clients with the lead writer who will best suit them; however, we are also more than willing to provide you with writing samples and credentials for your potential lead writer, as well schedule a number of interviews. Our goal is to make sure you’re fully satisfied with your ghostwriting experience from the very beginning. Can I Meet with My Writing Team in Person? Yes, in most cases the team will meet with you in person at one of our office locations, or we can arrange for you to meet with them at your location. Travel expenses may apply should you need site visits or interviews at your location. How Much Interaction Will I Have with My Ghostwriter and Writing Team? You can have as much or as little interaction with your ghostwriter and editor as you’d like. We tailor our process to suit your schedule and your needs. Generally, clients opt to have regular interviews and collaboration sessions with their ghostwriter or editor via phone or Skype, as well as ongoing communication by email. In certain instances, it is also possible to arrange for in-person meetings with your ghostwriter or editor. The entire process can be adapted to best support you! How Can I Be Sure That a Ghostwriter Will Be Able to Capture My Vision? Our writers work closely with you to ensure that the words on the page are as faithful to your vision as possible. Your lead writer will develop the material in small batches so that you can give feedback on the style, tone, and content of the writing. We’ll revise each section until you’re 100% satisfied. What if It’s Not Working Out with My Assigned Ghostwriter? If you’re unhappy with the material you’ve received from your writer, you can simply give that feedback directly to the writer or to the managing editor and we will adjust accordingly. Our skilled ghostwriters are able to shift their tone and style based on your preferences to ensure that you connect with the writing. If you are still unhappy with the writing after multiple revisions, we can assign a new writer to the project who is a better match for you—this type of flexibility is one of the unique benefits of working with a professional firm. Once the Book Is Ghostwritten, How Do You Help with Publishing and Marketing? We know that the publishing industry can be daunting, especially for first time authors, so we offer consultation and comprehensive support for both traditional and self-publishing outlets. We’ve assisted many first-time and experienced authors with self-publishing their book and securing lucrative book deals through traditional publishing avenues. Most of our all-inclusive ghostwriting packages include an original and customized query letter or book proposal free of charge. This invaluable marketing tool will be used to promote your book to literary agents and publishers. Not sure how to find a reputable literary agent? We’ve got you covered—we’ll provide you with a list of genre appropriate agents to whom you can send your query letter or proposal! We can also assist you with all aspects of the self-publishing process, from choosing the ideal self-publisher or POD, to formatting your book, developing the book cover, and submitting your manuscript for publication. We’ll help you to decide between self-publishing options, and we can put you in contact with marketing services to get the word out about your book. I Have an Idea for a Book, But I Don’t Know if It’s Good. Can You Help? How Involved Will I Need to Be in the Process? Your level of involvement is entirely up to you. You can opt to work closely with your ghostwriter, or simply provide them with basic information and let them do the rest of the work. This is your book, which means that you have final say on the content and it’s your decision how and when you give your input and approval. We’ll work with you to customize the process so that it fits your schedule and preferred working style. The duration of the ghostwriting process is partly up to you. Depending on your schedule and desired level of involvement, your ghostwriter will develop material for you to review and approve on a weekly or biweekly basis. While every book is unique, on average, a 200-page manuscript will take between four and nine months to develop. We can often rush these services for you if you need to meet a specific publishing deadline. I'm Not a Writer, But I Have a Great Idea for a Movie/Novel/etc. Can You Help? Give us a call! We’ll help you bring your story to life—for the screen, the page, or even the stage. We have the passion and experience writing stories, and we can pair you with a skilled ghostwriter, editor, or consultant to coax your concept out into a fully formed work of art that you’ll be proud to call your own. Don’t let lack of experience hold you back from actualizing a great idea! Can You Help Me Write a Play? Our team of writers is well versed in developing both stageplays and screenplays, and we would be delighted to collaborate with you. As with novelists, we work with playwrights in a flexible, customized way. We can develop material independently that you review and approve, or the process can involve in-depth interviews and one-on-one writing sessions—it’s all up to you! Writing is just like any other skill or art form; practice, feedback, and refinement are the means to improving your abilities. Every writer needs an editor, and even the most brilliant ideas can benefit from a collaborator or two. We can work with you on material that you’ve already created to give detailed, insightful feedback and suggestions on how to take your craft to the next level. We can also build off of the ideas that you’ve already generated and ghostwrite new material for you. We know that the publishing industry can be daunting, so we offer consultation and comprehensive support for both traditional and self-publishing outlets. Once the writing and editing process is complete, we’ll help you make decisions regarding traditional and self-publishing options. We’ll craft a query letter or book proposal that you can use to promote your book to agents and publishing houses, and we can put you in contact with marketing services to get the word out about your book. We’ve assisted many first-time and experienced authors with both self-publishing and securing lucrative book deals through traditional publishing avenues. Our services are perfectly suited for writers who are looking to improve their work. Our professional staff is ready to give you the tools, motivation, and reflection that you need to succeed.